Our product range includes a wide range of sabudana packing machine, pouch packing machine and atta packing machine. 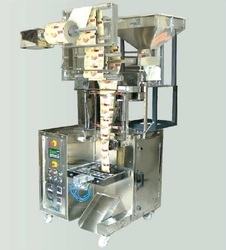 UNIQUE PACKAGING SYSTEMS supply Pouch Packing Machine for 10 gms to 250 gms and 500 gms to 1 kg pouches in single machine. UNIQUE PACKAGING SYSTEMS deals in Automatic Food Packaging Machines for Flour, Rice Powder, Heena Powder, Glucose, Ors powder, Bio-Fertilizers, Spices Powder etc.